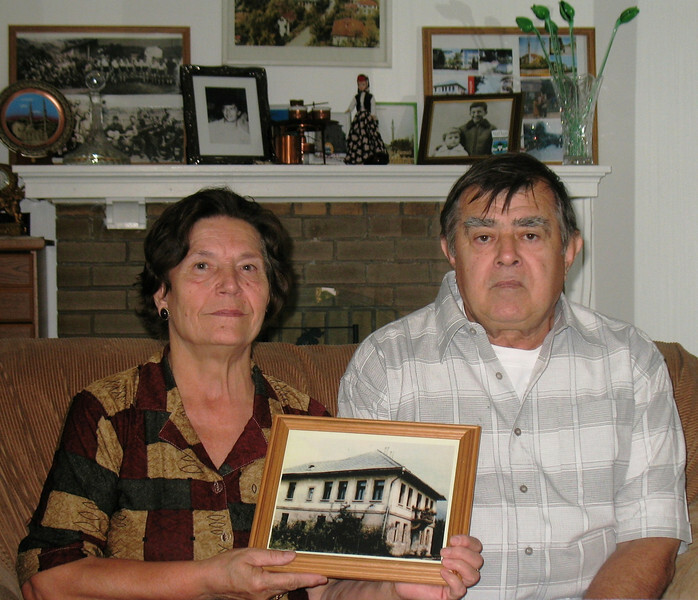 Rešad and Sabiha Kulenović in St. Louis in 2007. Sabiha is holding a photograph of her girlhood home, which was destroyed in 1992. Photograph by Benjamin Moore.